While the men’s basketball team heads to the Sweet 16 round of the NCAA Tournament for the eighth time in program history, the Lady Vols (19-13) head home following a season-ending loss in the first round of the NCAA Women’s Tournament, falling to the UCLA Bruins (21-12) by a score of 89-77 in College Park, Maryland. The Lady Vols held the No. 1 seed. Coach Pat Summitt and the women in orange and white wanted a sweet victory against the Baylor Lady Bears. With a 32-3 record on the season, Tennessee thought the season might end in confetti and another title. But a goliath stood in the way. And she didn’t go down. Baylor freshman Brittney Griner took revenge against the Vols who bested her and her teammates in the first game of the season in a 74-65 win for Tennessee. At 6-foot-8, Griner powered past multiple Tennessee defenders to score 27 points and block 10 shots, leading the four seed to a 77-62 win in Memphis to end the Lady Vols’ season. Angie Bjorklund, a national champion in 2008, scored 12 points in the match-up. “I think any time you play against a 6-8 player, it’s going to be tough to shoot over her,” Bjorklund said of Griner. Tough it was. Griner stood two inches taller than Lady Vol center Kelley Cain, drawing fouls and hitting layups on a 21-1 run. Griner’s impressive skills as a freshman translated to further successful campaigns, leading to a notable professional career with the Phoenix Mercury, winning a WNBA Championship in 2014 and a gold medal with Team USA at the 2016 Olympics in Rio de Janeiro, Brazil. 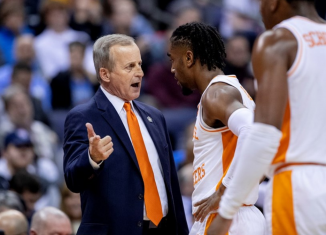 As Rick Barnes and the 2018-19 squad hope to stay alive in the Sweet 16, one cannot help but to remember the 73-71 loss to the University of Michigan in 2014. Reaching the round of 16 for only the seventh time in program history, Cuonzo Martin and the No. 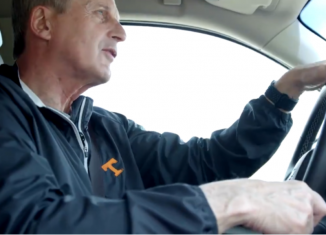 11 seed Vols hoped to dash the dreams of the No. 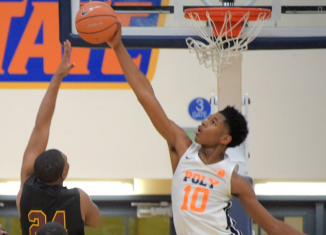 2 seed Wolverines, but senior Jordan McRae’s 24 points and Josh Richardson’s 19 points could not fend off their northern foes. With six seconds left on the clock and the score at 72-71, Tennessee stood poised to take the lead and seal the win. But a charging call on Jarnell Stokes gave the ball and the victory to Michigan. 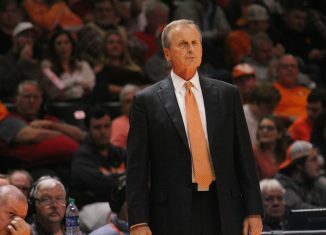 The call left Martin with no more to say than, “I thought he made a good move and the official called a charge.” After a bitter loss, the Vols sat stunned before the press, which repeatedly asked for thoughts on the foul. Disbelief painted the faces of players, coaches, and Vol faithful heading for home from Indianapolis. Climbing out of a 15-point deficit, the underdog Vols had readied themselves for a fairytale win. “God didn’t give us a storybook ending,” Stokes said. The 2018-19 Vols (31-5) hope to rewrite the narrative against Purdue (25-9) on Thursday. 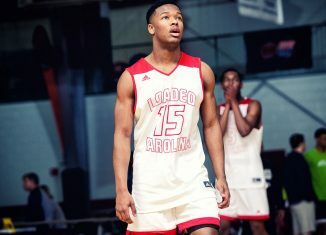 Stokes continues his story with the Memphis Grizzlies, having signed a contract Jan. 1 of this year after prior stints with the Grizzlies, Miami Heat, Denver Nuggets and in the NBA G League. Before he became athletic director, he was the head ball coach. 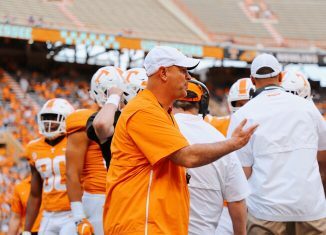 Phillip Fulmer walks the sidelines of Haslam Field at practice now without the ability to instruct, but in 2004, he stood among the Vols as they prepared for their first spring scrimmage, one where all eyes would be on the potential starting quarterbacks. The No. 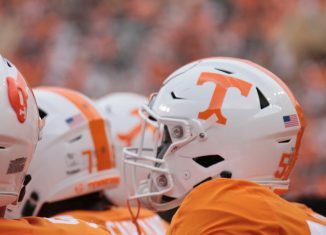 6 Vols lost the Chick-fil-a Peach Bowl to Clemson 27-14 after a 10-3 season in 2003, one in which Tennessee defeated Alabama in five overtimes with a 51-43 win. Tennessee also lost quarterback Casey Clausen to graduation. 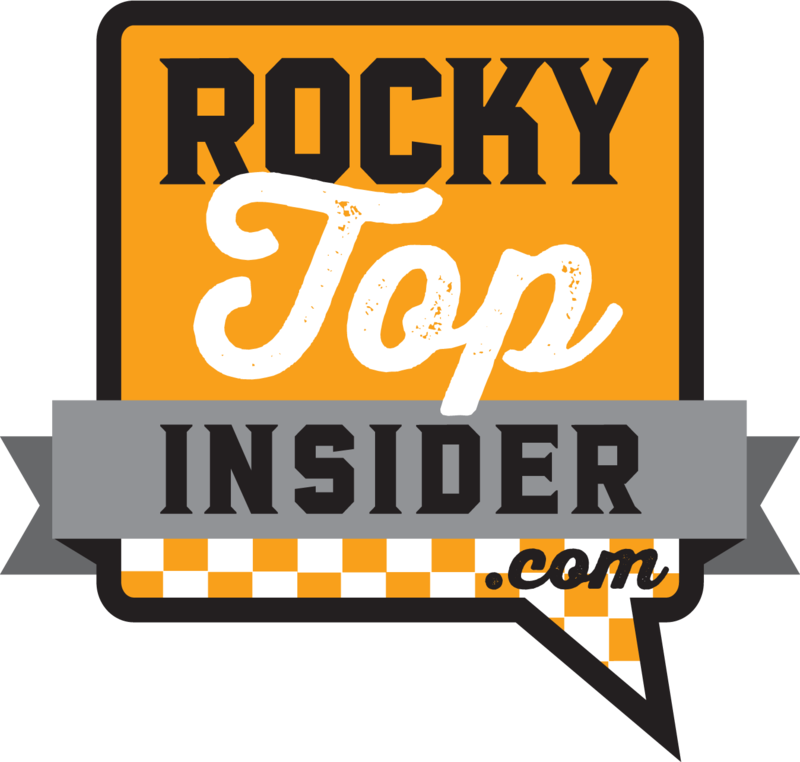 The four-year starter threw for 384 yards in his final game against the Tigers, leaving a mark on UT history and a big hole in the Tennessee offense. 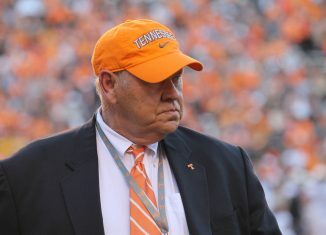 At practice on March 26, 2004, Fulmer watched as senior C.J. Leak and junior Rick Clausen took snaps behind center in hopes of emerging as the starter following the next-day scrimmage. 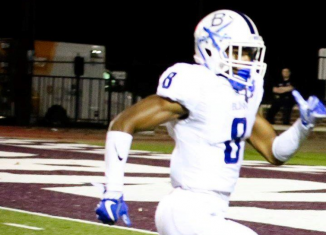 Junior wide receiver James Banks prepped himself to spend some time at the position the following week. None of the aforementioned won the starting job. Freshman Brent Schaeffer started the 2004 campaign against UNLV, the first true freshman to start in a Southeastern Conference opener since 1945 when John Rauch took the field for Georgia. But the freshman with a fumble, rushing touchdown, and passing touchdown wasn’t the only first-year man slinging for the Vols. Erik Ainge entered and threw for two touchdowns. Ainge’s arm edged out Schaeffer’s swift ground game, earning the starting job to lead Tennessee to wins over Florida, Georgia, and Alabama. However, it was Clausen who led the No. 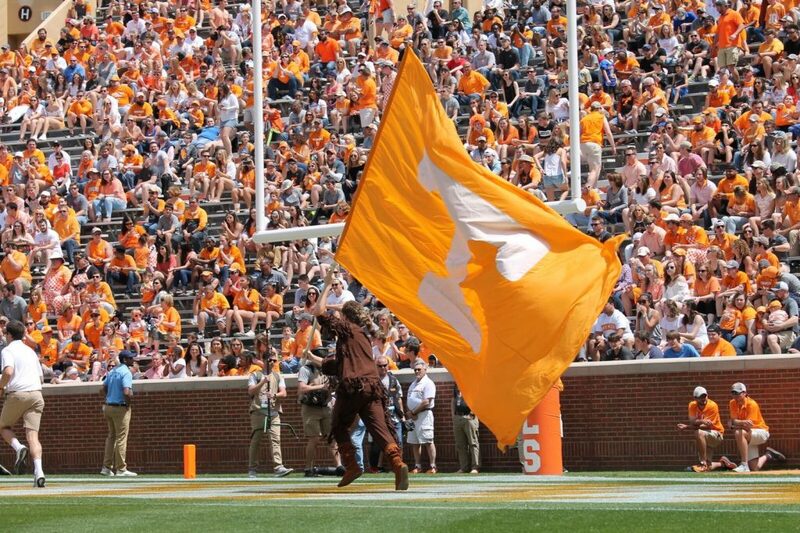 15 Vols to a 38-7 win over then-Big 12 competitors Texas A&M in the Cotton Bowl to conclude the 2004 season. 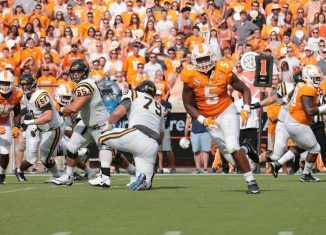 Little did Fulmer know during that spring practice Clausen would not be his season starter. Little did he know he’d also be the one to lead Tennessee to the then most lopsided victory in the program’s bowl history.